What does the dental term, “root canal,” mean? What are plastic sealants? 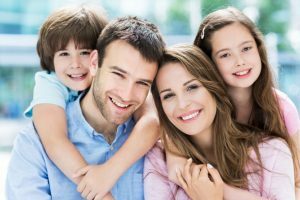 Your dentist in Park Slope, Dr. Frank Sapienza of the Dental Spa of New York, values education for himself, his staff and for you, his valued patient. So, he is providing explanations of common dental terms so you and your family are better informed about your oral health. Cavity or tooth decay Surely, you’ve heard this term a lot, but what is it exactly? A cavity is a hole in the hard outer layer, or enamel, of your tooth. It is caused by oral bacteria which secrete corrosive acids that literally eat holes in teeth. If untreated and going deep into the dentin and inner pulp of the tooth, decay can cause infection. Dentist repair cavities with fillings and when warranted, dental crowns or root canal therapy. Gum Disease When it’s mild, it’s called gingivitis. When it’s advanced, it’s called periodontitis. Basically, gum disease is an infection where gum tissue bleeds, swells and pulls away from tooth surfaces. Left untreated, it leads to tooth loss, bone deterioration and systemic problems such as heart attack, stroke and osteoporosis. While researchers are not sure what the direct cause and effect mechanism is, they see inflammation as the culprit in overall health problems and gum disease. Dental crown Also called a dental cap, a crown covers the healthy portion of tooth enamel left over from cavity treatment or oral injury. Made of gold, porcelain fused to metal or all-ceramic, a dental crown strengthens, protects and beautifies a compromised tooth. It may cover a dental implant or secure a fixed bridge, a restoration which replaces one, two or more adjacent teeth. Dental implants These artificial teeth replace missing teeth from root (or anchor of the tooth) to crown (or top of the tooth). They restore smile gaps comprised of one or more teeth or can anchor dentures and bridgework. Root canal More properly called root canal, or endodontic, therapy, a root canal is a long-honored procedure which removes infected pulp from inside a tooth. Used for extensive decay or injury, endodontic therapy restores a tooth to full function by relieving pain and curing dental abscess, or infection. Hygienic cleaning This prophylactic treatment cleans away sticky plaque and hard tartar from on and between teeth, thus preventing cavities and gum disease. Dr. Sapieza and his team recommend patients come to the Dental Spa of New York every 6 months for this important preventive service. Digital X-rays Imaging your teeth and jaw bone no longer involves high radiation and developing and storing films. Today’s digital X-rays feature clear views of oral structures, instant imaging and paperless storage. Plus, radiation is negligible. Wisdom teeth These backmost molars arrive in the teen years and frequently must be extracted, or pulled, because they infect and decay easily. Sometimes, they hamper correction with braces or are impacted, or trapped, below the gum line. Fluoride and plastic sealants Both preventive treatments protect teeth from decay. Fluoride is also found in our drinking water, in quality toothpastes and in mouthwashes. Clear plastic sealants are simply painted on deeply grooved teeth, keeping bacteria and their acids out. 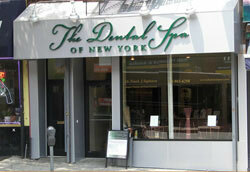 Contact the Dental Spa of New York to set-up your 6-month exam and cleaning. Be sure to ask your Park Slope dentist any questions you have about dental terminology, especially as it pertains to your oral health situation.